A new animated series akin to “The Powerpuff Girls,” but featuring cartoon “baby drag queens” voiced by cast members of “RuPaul’s Drag Race,” is set to appear on the World of Wonder’s WOW Presents Plus this month, being at least the second release in 2018 featuring animated cross-dressing men. 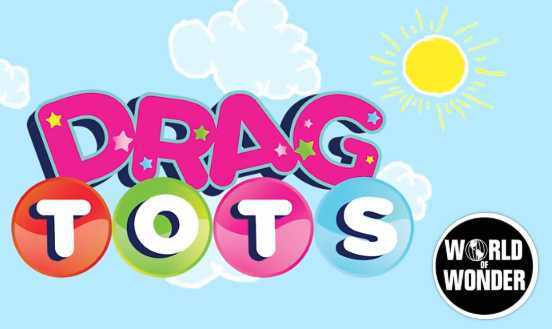 “Drag Tots” tells the story of four pint-sized drag queens who attend grammar school, and navigate through adventures with the aid of a talking unicorn head, played by homosexual drag entertainer RuPaul himself. “With guidance from school mascot Corny the Unicorn, each episode features a different dragtastic adventure. From a visit to a wig farm to a journey to an alternate drag universe, school has never been so fierce!” it states. In addition to RuPaul, the animated series is voiced by “drag queens” Adore Delano, Bianca Del Rio, Detox, Latrice Royale and Valentina. While some have expressed excitement over the soon-coming cartoon, calling it “cute” and “hilarious,” others have voiced concern over the continuing pervasive influences on children. “Lord, I pray that you disband this evil … that is corrupting our children and society. I also pray for the people that are involved and that their eyes are opened to the illusion [under which] Satan is entrapping them. Thank you, Jesus, for the precious blood and opening my eyes to the truth. Amen,” another stated. As previously reported, last week, the popular movie outlet Netflix similarly announced that it would be presenting a new cartoon series called “Super Drags,” which centers on the fictional tales of drag queen superheroes. The accompanying trailer for the series included in-your-face animated close-ups of the partially bare rear-end and breasts of one of the characters as they suit up for their mission. In the sermon “And They Crucified Him,” the late Art Katz lamented that the Church of the 21st century is not being a light in the darkness like the Church of the Book of Acts. “I think every one of us ought to be humiliated or humbled every time we pick up the book of Acts and read the glory that attended the life of that first Church. How is it that these … fishermen and louts who had no advantage of the kind that we have enjoyed were able to turn cities upside down and shake the earth? Why is it we have not had a corresponding effect in our own generation?” he asked.